Hip extension is an important component for creating a tall and healthy physique. When the hip flexors become tight, due to overuse or lack of use, they prevent healthy hip extension. Healthy hip extension enables the body to generate more forward or upward momentum by driving the foot and leg into the ground, or backwards. Keeping the hip flexors supple is vital for musculoskeletal health in the lower back, hip, and knee regions.The Functional Anatomy: Hip Flexors When discussing the hip flexors, many individuals think of the iliopsoas complex. This is great, but severely lacking a well-rounded view of the hip flexors as a collective unit. The psoas gets blamed for a lot of issues; sometimes correctly and sometimes incorrectly. Remember, the body is an intricate system and blaming a single muscle or viewing a problem as caused by a single muscle will leave you lost and frustrated with results. The hip flexors collectively consist of several muscles when analyzed in a basic standing position, including: Psoas major, Psoas minor, Sartorius, Iliacus, Rectus Femoris, TFL (Tensor fascia lata), Pectineus, Adductor longus, Adductor brevis, and Gracilis. You might recognize the last few muscles from last week's blog. Functionally, when discussing the process of hip flexion, there are other muscles that help drive hip flexion, including: the Gluteus Medius & Minimus, and the Gastroc / Soleus Complex. When any one of these muscles above are lacking in performance, it requires other muscles to compensate to create the desired task (i.e. hip flexion). If left unaddressed, the brain will lay down trigger points in an attempt to improve an improper system. A few of the referral patterns are shown below. The first picture on the left highlights the rectus femoris referral pattern, while the picture on the right highlights the iliopsoas refferal pattern. These charts help visualize why treating local to pain does not always result in improvement; often times the problem is somewhere else. 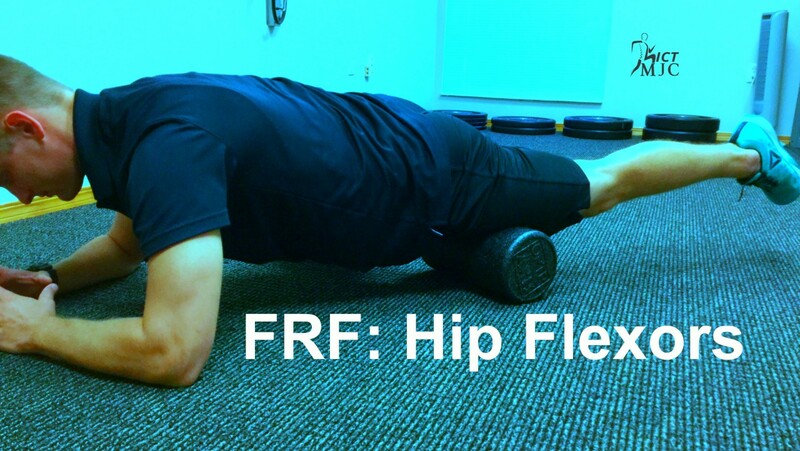 The Why: Hip Flexors Foam rolling the hip flexors is an easy way to work on the anterior hip compartment, improving pain and performance within the lower back, hip, and knee regions. This area becomes a dense network of adhesions, from prolonged sitting and lack of hip activity in general, pushing the femur head forward in the hip socket. Addressing these trigger points via foam rolling can help awaken the brain awareness to these areas reducing pain, improving range of motion (ROM), and performance. If you are experiencing lower back pain, hip pain, or knee pain, it is important to understand that there will never be normal joint function within these areas if there are myofascial dysfunctions surrounding the hip.¹ Normal joint function and normal muscle length/flexibility have to go hand-in-hand. One cannot exist without the other. And this is why you should foam roll the anterior hip. 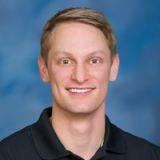 References Ferguson LW, Gerwin R. Clinical Mastery in the Treatment of Myofascial Pain. Philadelphia: Lippincott Williams and Wilkins, 2005.